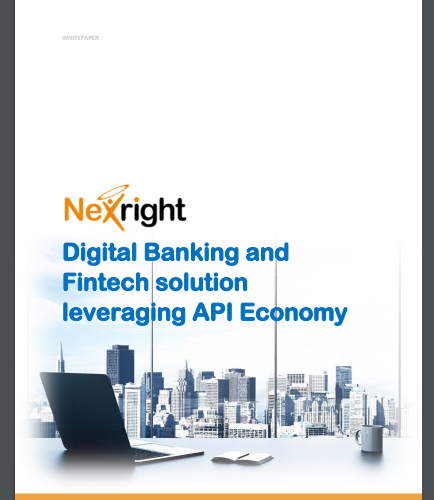 "Leveraging API Economy through Digital Banking and Fintech solution"
Application Programming Interface (API) economy is the key to provide great digital banking experience to the customers. API provides value in the context of Bank’s business & competitor strategy to meet demands of customer experience driving banking innovations. How do the banks benefit from APIs? Identify attributes which can provide individualized customer experience through power of API economy. Attract new customers and generate large transactions. Understanding the API value chain & identifying APIs. Designing & exposing prediction APIs for app builders. Building Machine learning and analytic capabilities at API layer. What are the business assets provided through the API? How to Design & Model APIs with appropriate context? What are the technologies and tools to engineer the API data? Download this whitepaper which helps you provide individualized customer experience through the power of API economy. An efficient budgeting, planning and forecasting (BP&F) process is a cornerstone of successful organizations, with each stage providing a blueprint of a how the company will achieve its financial goals. The budgeting process plots company expenditures and provides supporting detail documentation; the planning process outlines the company’s short- and long-term financial direction and expectations; and the forecasting process predicts financial outcomes based on current and past performance. As many finance teams will attest, “budgeting season” is a time of enormous pressure as departments cope with constantly changing market conditions which influence financial plans, and must make resources available to deal with the time-consuming, complex planning process. Analytics is the process of obtaining an optimal and realistic decision based on examining existing data, typically large sets of business data, with the aid of mathematics, statistics, specialized systems and software. In the last few years use of analytical methods to extract useful insights from data have gained immediate importance and has helped several companies improve their business performances. By definition a business is an organization or economic system with consistent and typical exchange of produced goods and offered services for one another or for money to fulfill human needs. Types of businesses, Non-Profit business: This is a type of business with charitable or educational goal rather than earning money from its services. What is Application Programming Interface ?